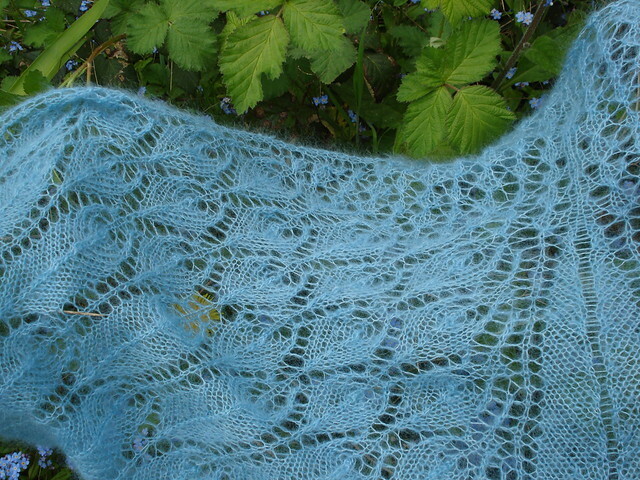 July is over, and I've tallied up the sales for The Grateful Crane shawl -- since adding the shawl to Patternfish, there has been an uptick of sales. So, the last donation totals to $33 or about £20.11. Together, we raised over $90 for Doctors Without Borders - a big thank you to everyone who purchased the pattern. I'm pleased we've made a little bit of a difference with this pattern - and I'm sure it will mean a lot to whomever the aid ends up helping.